History :until approximately 700 A.D.
Hard water is high in calcium and magnesium. 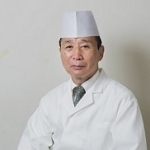 As calcium binds to umami factors (glutamic acid and inosinic acid) of Dashi, the problem is that it makes difficult for us to recognize the flavor on our tongue. Hard water is useful to take out Aku and to cook meat tender, but it is not suitable for making Dashi. 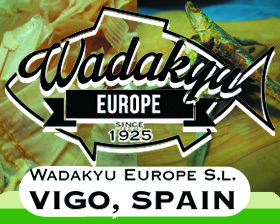 If you have to make Dashi in a country where only hard water is available, let shells and charcoals to absorb sharp flavors in the water and use blender to blend the water with air to make it milder. You can also use scallop shell and common orient calm shell. You can use also other charcoal than Bincho charcoal. You may add burnt stone in the water. 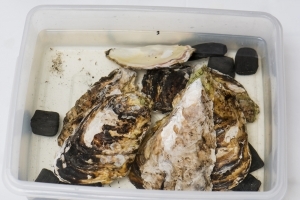 Make shells and stones carbonized by burning and filter components of the water. When we compared this processed hard water with the original hard water, the result showed the hardness of the processed hard water is reduced to the hardness level of soft water specified by WHO (World Health Organization). The method to convert hard water to soft water has been scientifically proved. Please refer to this. 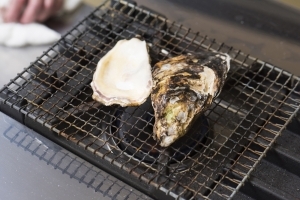 ① Burn oyster shells and then boil them in water. Then again burn them and put back into the water. ② Add burnt charcoals into the water prepared in ①, then add more water and heat it. Then after switch off the fire and cool it down. 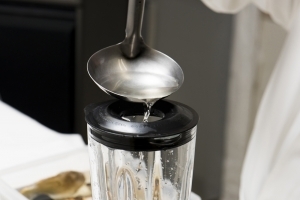 ③ Blend the water prepared in ② with a blender and then leave it for a day.